There is no denying that there has been a big shift in how people work, operate, and communicate today. Due to the ever-changing world of technology, remote work and flexible work teams are becoming more and more of the norm. 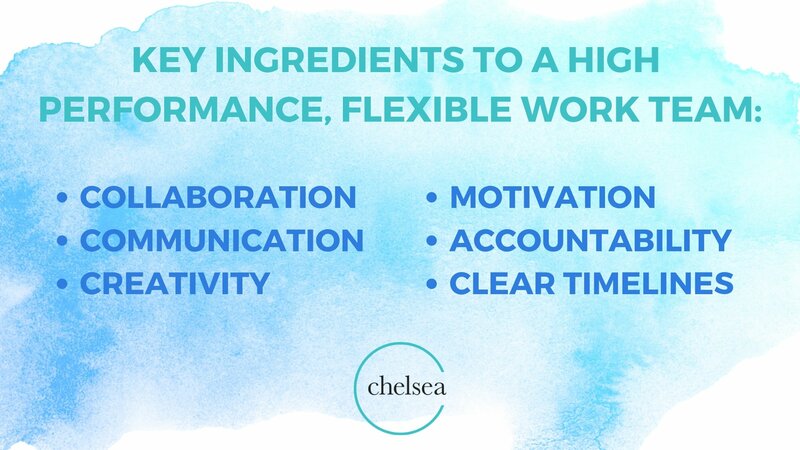 @PokeyLuWho: A flexible work team goes with the flow… they still get it done, but can adapt to situations as they grow and change. And they’re ready to step in where neeeded to help someone out. Now “prices”: To be effective #flexwork team, requires extra level of intentionality, planning, and coordination of work w/ supervisors, colleagues and customers to be successful. @dialbanese: Having the ability to walk across the office and speak in-person can make communication a bit easier. Tone can be misunderstood over messaging apps/email. @caliyost: First, most team members in most orgs are not in multiple locations all the time. This is important. Yes, small % are completely virtual and remote, but most not. That said, have TEAM coordinate when to schedule and use overlap days when everyone is physically together. Have team lunch? Regular strategy/review session? @LeadinStilettos: Know your teammates very well. Know what sets them on fire and what puts out their flames. Create a culture of communication and collaboration built on trust! @ChelseaKrost: Focus on more than just WORK. Come up with fun & interactive activities that employees can do online together such as social media/skype happy hours, online games & friendly competitions. @FlannCasey: We recently split up our group and had each group try to find three things in common with one another and three things that were different. It was a way to get to know each other. 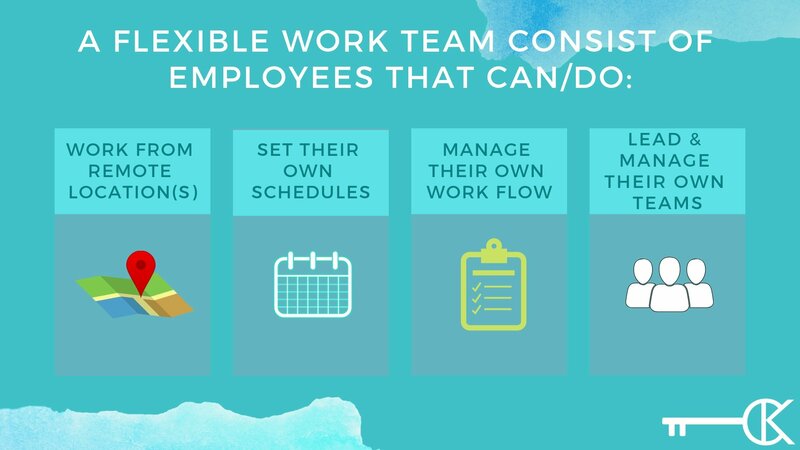 @caliyost: #Flexwork or not, what do you do NOW to manage your team well? All good basics of management matter, even more w/ #flex. Presence=performance no longer enough. Articulate vision, set clear expectations, offer consistent feedback, hold people accountable–all that can be done in person or virtually. As realities shift, work w/ team to recalibrate #flex to ensure work gets done. Always check as leader: is shift due to real performance issue, or just your preferred way to work? @Runnymedecap: Periodic in person meetings and social events do wonders for bringing flexible teams closer together. 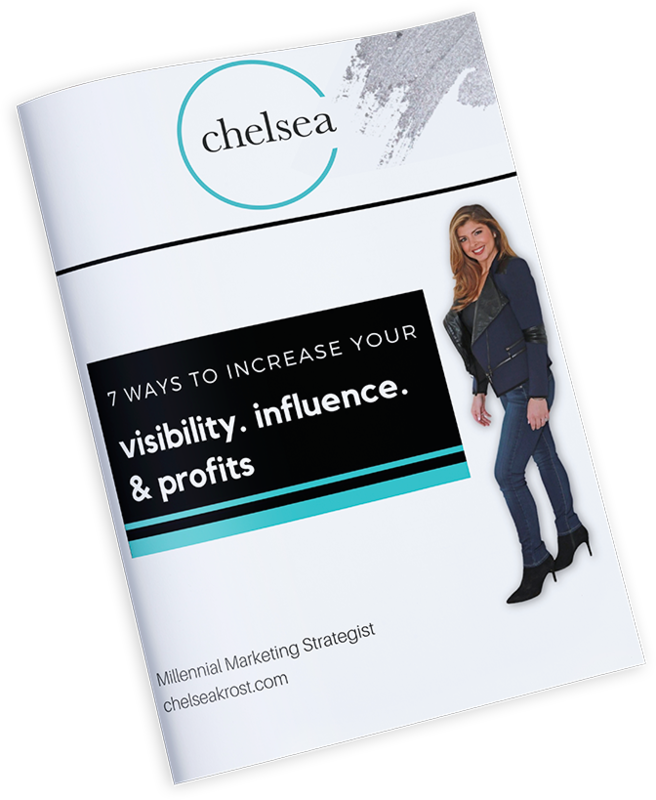 It’s an expense but worthwhile ROI! @Polymathically: Listen, listen, listen. Respect and trust go a long way. Make sure everyone is on the same page with the objectives, trust them, and course correct when necessary. @ChelseaKrost: I suggest everyone one always working off of one master document that has clear information. Be sure the goals and timeline are clear and concise. Include scheduled check-in times so that everyone is up-to-date on each others progress. Create a shared calendar that has all important dates marked down. This will help those that are more visual to SEE when things are due instead of just having dates written down. @PokeyLuWho: Video conferencing is the easiest way to be involved without physically being in the room. People are attending a meeting via video almost every time I’m attending one in person. @ChelseaKrost: Hands down @googledocs is my favorite! Love being able to work off of one document with other team members. 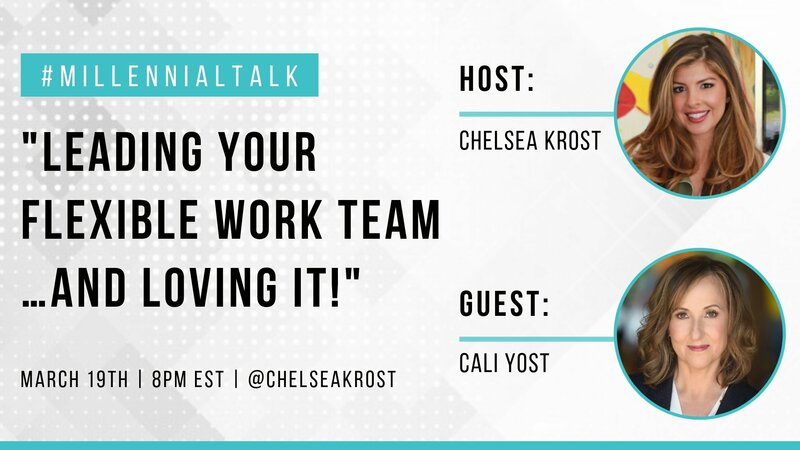 @caliyost: Fave tools/apps: use Asana (project management), Hubspot (CRM), Slack (messaging), MailChimp, Zoom (video/collaboration), Dropbox, good old phone, email and text. 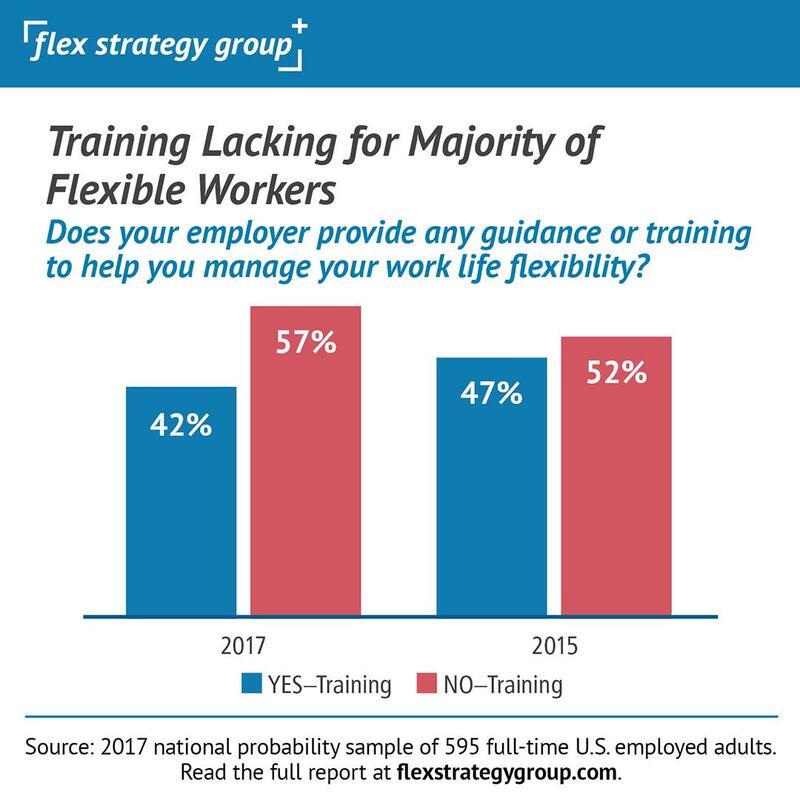 @caliyost: Spaces and #tech that enable #flexwork will be important, but focus expands to OPTIMIZING–knowledge, skills and tools individuals, teams and supervisors need to actively “flex” even better, smarter. 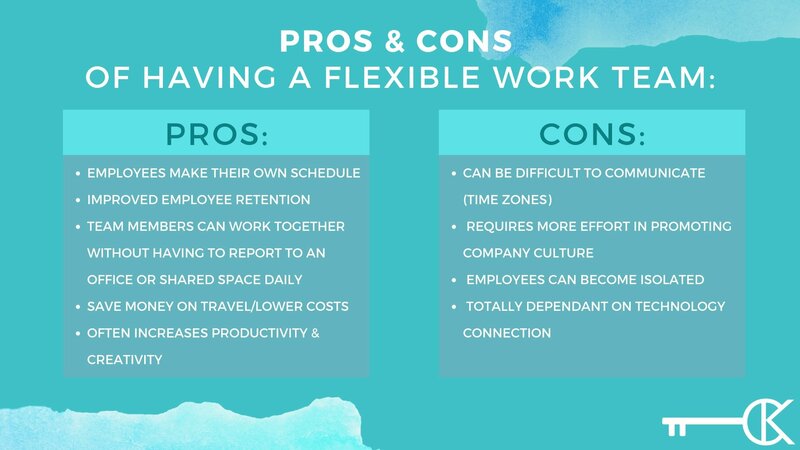 @TheEngagingEd: I think it will be the norm and the regular, vs the exception – especially with the rise of coworking spaces.